When you need a wood fence installed in your Columbia, Illinois yard, look to one of the most seasoned and well-regarded companies in the area – Chesley Fence & Deck. Since 1967, we have installed high-performance, Western Red Cedar fencing to the satisfaction of our customers. We always provide the best service to our customers and adhere to honest business practices, which is why we maintain an A+ with the Better Business Bureau. So whether you need a fence installed for more privacy or to keep your little ones and pets in your yard, trust in Chesley Fence & Deck to get the job done right. 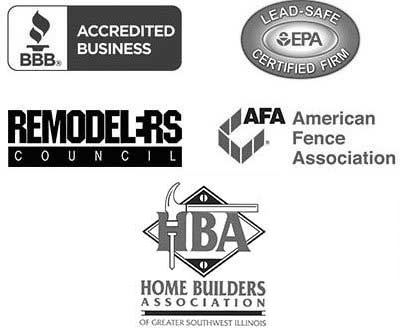 What’s more, your new wood fence will be installed by our own trained, certified, and experienced employees, never subcontractors. Our technicians will make sure to install your fence with care and precision to ensure that is lasts for years to come. We even offer a three year warranty on labor for added peace of mind. 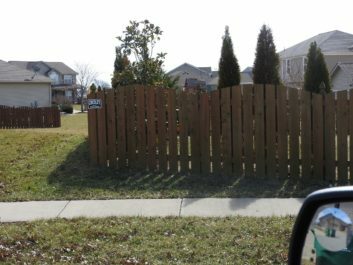 To learn more about the benefits of having a wood fence installed by the company that has installed more fencing than any other in the Columbia, IL region, contact Chesley Fence & Deck today.